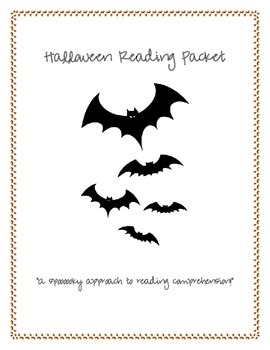 I created this activity packet for my students in honor of Halloween. 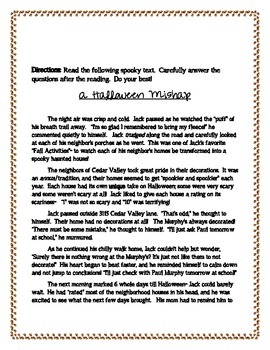 I included a two page engaging story about Halloween. Your children will relate to this spooky mystery. The story includes several multiple choice questions, following by short answer, and an opportunity to illustrate their favorite scene. The following comprehension strategies are included: identifying main idea, identifying the main problem of a text, making connections, using context clues, making inferences, and making predictions. 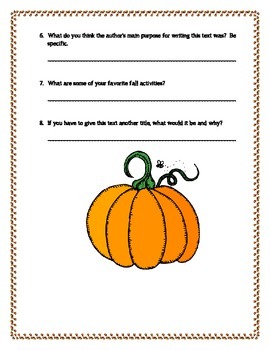 This 8 page packet is perfect for homework, independent work, or reading workshop.